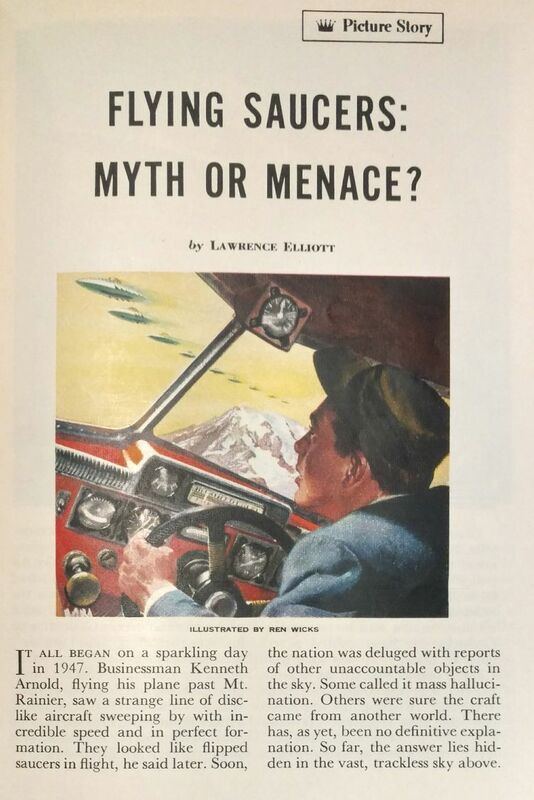 Seventy years ago, Idaho pilot Kenneth Arnold saw something near Mount Rainier that brought the term “flying saucers” into the lexicon. It was the viral story of its day. What he saw remains a mystery. Arnold reported seeing near Mount Rainier nine “circular-type” objects flying in formation at more than twice the speed of sound. 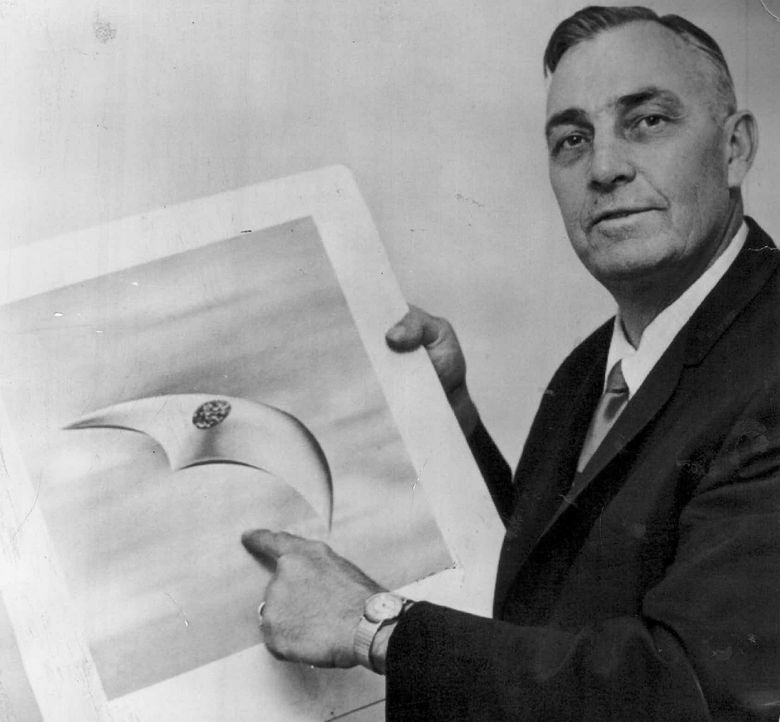 His was the first widely reported UFO sighting in this country, and it set off a wave of other reported sightings. Arnold would pay the price for describing something so fantastic. He didn’t consider himself some kind of kook. He had over 4,000 hours of mountain high-altitude pilot time; he was in the Idaho search and rescue. A long time ago, in 1977, I interviewed Arnold after reaching him by phone. He died in 1984 at age 68, and in all those years, and with me, he never wavered in his descriptions. “I made my report because I thought it was my duty. It was the only proper and American thing to do. I saw what I saw,” he said. You can draw a direct line between what Arnold repeatedly recounted in detail to FBI and military investigators and our collective fascination with the possibility that aliens have visited us. It’s become so much a part of our culture that even the CIA website has a section titled “Take a Peek Into Our “X-Files” that is chock-full of declassified files. Interested in a 1952 drawing of “flying saucers over Belgian Congo uranium mines?” It’s in the CIA files. Arnold was an unlikely candidate to become embroiled in such a controversy. He lived in Meridian, Idaho, and sold fire-extinguishing equipment. About as unusual as his life got was that he piloted a small airplane to get to his clients around the Northwest. That was one of the few sympathetic portrayals in government documents of Arnold’s sighting. Arnold’s sighting of the craft was the 1947 version of a story going viral. “It was a beautiful day. Just as clear as a bell,” Arnold said. He was flying from Chehalis to Yakima and decided to spend an hour or so searching for a downed C-46 Marine transport that had crashed into the southwest side of Mount Rainier. There was a $5,000 reward for finding it. At first, Arnold thought it was the sun reflecting off another plane. “But the flash happened again, and that’s when I saw where it was coming from. It came spasmodically from a chain of nine circular-type aircraft way up from the vicinity of Mount Rainier,” said Arnold. His plane had a big sweep 24-hour clock on the instrument panel. Arnold measured that the craft covered the distance between Mount Rainier and Mount Adams in 1 minute 42 seconds. “That figured out to something like 1,760 miles an hour, which I could hardly believe. I knew that figure couldn’t be entirely accurate, but I’d say it was within a couple of hundred miles accurate,” he said. From Yakima, Arnold then flew to an air show in Pendleton, Oregon. The next day, on June 25, he stopped by the local newspaper, the East Oregonian. He wanted to know if the military had been testing secret warplanes in the area. He ended up talking to reporter Bill Bequette, who, in subsequent years, remembered that Arnold “came off as honest, level headed and credible,” said a story in the East Oregonian. So Bequette wrote a brief story about what Arnold said he witnessed. Despite that statement to Brown, in the coming years Arnold was driven to prove he was right. There were “many long hours of fruitless flying with a camera, trying and failing to find anything like his saucers again,” says Martin Shough, a well-regarded researcher of the UFO phenomena who has written a detailed analysis of Arnold’s account. He concludes, “Seventy years on, when so much of the flying saucer mythology that Kenneth Arnold triggered has been explained away, it is somewhat embarrassing that Arnold’s own sighting remains obstinately resistant.